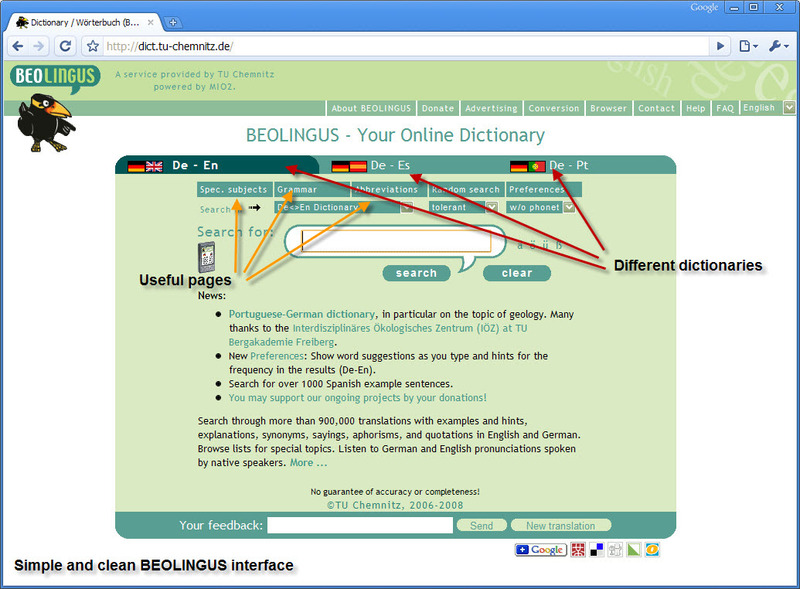 German to English, German to Portuguese and German to Spanish – dictionary and several useful references, and all for free – available on BeoLingus. Beolingus is not just another online dictionary with more ads than headwords; it is full-scale reference with useful examples. The project is created by the Chemnitz University of Technology and it has been online since 1995. According to the site, Beolingus offers 396,000 word translations German-English, 112,000 word translations German-Spanish, 42,000 word translations German-Portuguese. We should also mention 37,000 synonyms of German words and more than 14,000 English, 6,500 German, and 10,000 Spanish quotes and aphorisms. Many of these great things are based on other projects and seamlessly incorporated into the site. 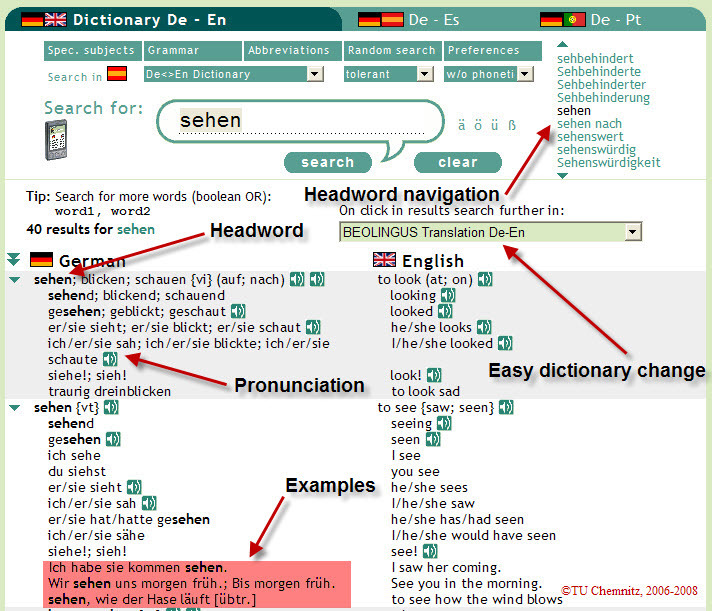 What we really like and what we find particularly useful is German-English example sentences and German / American pronunciation. This makes definitions more interesting and easier to remember; and there are no uncertainties about the pronunciation. Beolingus will assist you with German spelling, make your search easier with use of wildcards and offer an easy way to enter umlauts, in case you do not have German keyboard layout installed. You can even embed it in your own website or place in on Google Homepage, or maybe open it in small window so you can have more space for your work. Two thumbs up!